It continues to be a head-shaker for me that the purveyors of stock can take such a disdainful position towards the actual people making the images. They seem to not realize that without those that produce the images, they have empty filing cabinets and idle servers with nothing to sell or license. First up is Photolibrary(PL), and one of the companies they acquired - Index Stock. What doesn’t seem to be in dispute is that Index Stock had money problems and was possibly going bankrupt. When Photolibrary purchased Index Stock, they didn’t do so in bankruptcy, and further, didn’t do so with any attempt to preclude assuming all of Index Stocks’ debt, and there remain large portions that still need to be paid. What is in question is if PL acted ethically and honestly with regard to the debt. While I don’t have answers, per se, to those questions, I do have some insights that are worth sharing. If any of the accusations are true, this puts in question whether PL is run by ethical people at all. We received numerous internal PL documents from sources, which detail the behind-the-scenes maneuvering regarding PL, PACA, and the thousands of photographers who have not been paid for the use of their work. When PL acquired the stock agency Index Stock in October of 2006 (as announced here), not only did they acquire the entire collection (whether wholly owned images or the right to continue to license the images of photographers that were represented by Index Stock) but they also acquired the accounts receivable (i.e. the money that people who had licensed images from Index Stock but had not yet paid) as well as the accounts payable (i.e. the money that Index Stock had collected for image licensing but had not yet paid to the photographers whose work was licensed). After about a month on the job, a Controller hired by PL, after having had an in-depth look at the accounting systems, found information and documents that appeared to point to massive potentially illegal and unethical activities on the part of PL leadership. At the time, the Controller determined his best course of action was to become a “whistle blower.” He wrote an e-mail outlining the problems and blasted it out to hundreds of PL photographers along with detailed individual statements of what they were owed, as reported on by Photo District News here – “Letter To Stock Contributors Is Instant Classic”. The Controller also sent substantial documentation and information to the Picture Archive Council of America (PACA) and the Stock Artists Alliance (SAA) asking for their help in getting the contributors paid, and in bringing PL’s accounting practices to light. SAA tried to engage with PL directly but after they were dismissive of the allegations and unresponsive, SAA issued a press release that laid out their detailed concerns that “about whether Photolibrary has met its contractual obligation to pay Index Stock contributors all past commissions.” ( read here). A week later SAA was joined by the American Society of Media Photographers (ASMP), Advertising Photographers of America (APA), Editorial Photographers (EP), and the Canadian Association of Photographers and Illustrators in Communications (CAPIC) calling on PL to “seek full accounting and payments of any monies owed to contributors”, according to an SAA press release. Four days later, PL issued their own press release, where they characterized the Controllers' e-mail as containing “inaccurate and ill-founded reports in the media and elsewhere, drawing on unauthorized and misleading information”. The controller was summarily fired days later. 1. PL’s attempt to write off 2 million dollars they knew was supposed to be paid to photographers for the images that clients licensed, on their 2006 tax forms. Internal emails from PL’s CFO John Smith directed the whistleblower to alter tax forms to move the 2 million from debt obligations to misc income, seeming to subvert the monies that should be paid to the photographers whose images generated that revenue. Attached to this email was PL’s Tax form supposedly in the handwriting of John Smith directing the change. 2. A PL email from Tim Moore ordering employees to tell artists that KPMG completed an audit and all past debt was paid. PL now states that the audit was not complete, but KPMG clearly wanted to distance themselves when they told SAA “KPMG LLP (US) was not engaged to perform an audit or review of any financial statements of Photolibrary”, as reported here at Photo Archive News. 3. PL incorporating an applet in their Australian accounting system that purposely under-reports 20% of sales. If true, this action affects all PL photographers and distributors, even those outside of Index Stock. 4. PL was accused of knowingly selling out of contract images and purposely keeping all revenue. This is something no one has talked about to this point. Re-enter Stock Artists Alliance. SAA has been all over the Index Stock debt that PL acquired with the purchase of the company in late 2006. SAA's principal obligation is to protect the interests of rights holders, and they have been a champion of those issues from the beginning. As a part of SAA’s last investigation, 9 months after PL stated most artists were paid all or part of their debt, SAA contacted 93 of the top 400 highest grossing artists using PL own records and most had still not been paid (or even contacted) on the past debt. If PL is not paying their highest grossing artists on their own after two years, then who are they paying? After SAA’s sustained public pressure, it appears many artists are now being paid. Here is where the story gets murky, so I scheduled a call with Cathy Aron (LinkedIn: Profile), the Executive Director of the PACA. What we found was that she had invited their lawyer, Nancy Wolff (LinkedIn: Profile) onto the call “just to be sure I don’t say anything I shouldn’t”, said Cathy. That would make sense, especially since we have heard from more than one source that she is privately appalled at the whole Photolibrary situation. During our call, Aron, who I’ve worked with on other issues, was all business, and any allusions to her private sentiments were not in evidence. What kind of grievance would occur? The most common one is when a photographer under contract with a PACA member, determines that the member company has either failed to report sales and thus, pay the photographer, or the sales have been reported, but no payments have been made. While there may be others, these are the most likely to come before the PACA Grievance Committee. PACA may be taking a lackadaisical approach to resolving the problems with Photolibrary (PL), and the non-payments of Index Stock. Photo District News, a year ago, wrote - PACA Investigating Ethics Complaint Against Photolibrary - based on information sent from the whistle blower, yet that investigation, a year later, still remains open. Just as SAA is looking out primarily for individual rights holders, PACA's principal obligation is to the photo archives (formerly referred to as photo agencies). PACA’s Mission Statement (as seen here on their website) that lists as item #1 “To develop useful business standards, and promote ethical business practices”. Yet their actions as it pertains to the PL issue and their delays in responding to complaints (or even a resolution) suggest perhaps an unwillingness to resolve the PL issue once and for all. 10 months ago, PACA received evidence, testimony and alleged internal PL documents from the whistle blower, as well as SAA’s separate 6 page grievance detailing dates of artists statements, payments and other evidence showing vast portions of PL’s PR defense and many private statements to SAA to either come across as false or be flat-out false. Included in SAA's grievance are artists who PL had accurate contact info that had new sales record in 2007 over the $250 threshold yet never receive payments at the time. This would suggest PL recorded new sales but selectively paid artists. Now to the conflicting obligations, with SAA serving photographers and image producers, and PACA serving the photo archive/photo library community. SAA’s last PR offered compelling evidence that that the majority of artists never received their past due debt after 9 full months. There is no public evidence that PACA responded or acted on the grievance against their member company, nor has effected payments to photographers, yet still they remain solid in the belief that PACA’s procedures are comprehensive. What remains to be known (among many answers that should still be forthcoming) is what did PACA actually do? One does not need to dig too much deeper to understand why PACA hasn’t been critical of PL. While the proceedings of the grievance committee are supposed to be confidential, some sources suggest that the board was well aware of much of the details surrounding the grievance. That said, a majority of the board members don't seem likely to be critical of PL, since many members' companies have business relationships with PL. Getty Images (Photographer's Choice, PhotoDisc, Digital Vision, Footage, Stock Byte); Jupiter Images (Banana Stock, Comstock, Creatas, Brand X, Botanica, etc) ; UpperCut Images (approx. 5,000 images); and Corbis (over 145,000 images). Of note Patrick Donehue of Corbis was president of PACA last year during the initial "investigation”. So, could the PACA board act separate from the interests of the companies that employ them? We put the question to Aron, and she said that sometimes the board members wear “their PACA hat”, and other times, their employers’ hat, and that sometimes they vote in a manner that is right for PACA, but not best for their employer. She emphasized her belief in the boards’ ability to be impartial “I feel that if someone felt they couldn’t be fair, they wouldn’t vote, but it didn’t come to the board”, said Aron. And therein lies the problem. The grievance never made it to the board, because the Grievance committee headed up by Christina Vaughan at the time. While the grievance board's other members are supposed to be confidential, according to sources, the two other members are reported to have been Jeff Schultz of Alaska Stock, and Miles Gerstein of Uppercut Images. They collectively seem to have decided that the SAA grievance did not meet the test of a valid grievance. According to Aron, SAA was told “Come back with individual photographers, and we can bring those issues to the member” yer in their grievance SAA delivered a spreadsheet listing over 1,000 photographers and distributors (including PACA members) to PACA, many with contact information, and all of whom, to varying degrees, were allegedly not paid by PL, but that wasn’t good enough. The defense then turned to “There’s no signed complaint from any of those photographers, we can’t just use names on a spreadsheet” Aron said during our call. Yet we have reviewed several emails and written letters addressed to Aron and PACA’s ethics board clearly from individual photographers. To date, none of them have received a response to their e-mails, but somehow, they were finally paid. “It’s a learning process for us too. We’ve never had a situation like this before, and we had to go back to our bylaws”, said Aron. Could Vaughan of Image Source be impartial in this PACA investigation/inquiry/grievance? With many of the leadership of PACA (in the form of the companies that employ them) having a financial interest in PL, continuing whatever methods of revenue collection they have, and maintaining a good reputation for PL, it is understandable (but not acceptable) that they would want to maintain the status quo, if that is, in fact, what they are doing. While Aron stated emphatically on the call as it regards the grievance “it’s confidential, and doesn’t go to the board. The only reason it would go to the board, is if there was a recommendation for expulsion”, yet sources suggest that the board was well aware of the allegations. So what were the actions of Vaughan? In Vaughan's member update dated 5/22/08 she states that the PACA grievance procedures are to expulsion, probation or dismissal of complaint. " In all cases, copies of the decision shall be furnished to both parties." This is required within 6 weeks, and Vaughan’s correspondence with the whistle blower suggests she was treating the complaint as falling within the guidelines of a valid PACA grievance when she noted to him via e-mail “As per our Protocol, I have 6 weeks to examine the case and report back to the Board”. Yet she has yet to respond to the whistle blower of the outcome of probation, dismissal or expulsion. In an email sent to him, she only stated that PL is on a "watching brief", which would imply that Vaughan at a minimum acknowledged wronging by PL. As part of Vaughn's 'comprehensive' investigation, she never once talked to the whistle blower over the phone, and she limited her communications to several emails that were initiated by him. When she asked for all the evidence, she then handed all of it to PL, stating that that was a part of the grievance procedures, so that PL could provide comment. While resolving a dispute over a sale or a minor contractual issue would require such an action, it is rather odd that someone would hand over all the evidence of alleged serious financial fraud over to the defendant for a response. PL created their Dec 2007 PR ”separating fact from fiction”, which was a point-by-point response to the accusations and evidence handed them by Vaughan. This response was a part of a PDN article “Photolibrary Explains Index Stock Problems, Calls Reports "Inaccurate", and they issued a five page statement defending themselves, readable here. Vaughn’s statement to PACA members could well come across as misleading to the many honest PACA members, and could have been properly adjudicated within PACA’s guidelines, or, if not, given the alleged widespread non-payment (and alleged under-payments by 20%) treat this situation as a special circumstance and handle all the issues in a similar format that a class action lawsuit might be handled. I can’t square what has happened, to date, with any fair and thoughtful interpretation of PACA’s bylaws. It would seem that, at best, Vaughn ignored the entire situation, at worse could be complicit and aided PL in their defense. Many times the truth lies in middle and sadly in this case If only a fraction of these allegations are true, PL leadership could easily be seen by many as unethical. If the extent and evidence of the PACA grievances filed is not enough to raise the real possibility of expulsion based upon timely actions by PACA’s board, what does a PACA member need to do? In the end, what does this mean to other PL contributors outside of Index Stock? Current artists payment statements can only be considered correct if you believe that PL is and has run an honest business. In this business where artists and distributors have to rely on the honesty of major distributors like PL, that honesty appears to broken, whether by accident or nefarious action, and that distinction remains to be seen. Is anyone sure that they aren't only receiving a fraction of the sales due them? Even the many companies that are represented on the board of PACA? One of the big questions is whether or not current PL statements are in fact accurate. Despite a PL letter to artists stating KPMG was hired to perform an audit, PL now states it was incomplete, and KPMG went out of their way to stipulate that they never performed an audit, as noted above “when they told SAA ‘KPMG LLP (US) was not engaged to perform an audit or review of any financial statements of Photolibrary' ". Only if PL artists, and distribution partners come together for a real and formal audit can anyone really be sure. And it should be a formal audit looking for the sundry accounts and exonerating any charges of unlawful activities as claimed by the whistle blower to PACA. So, if you are among the 1,000+ photographers and distributors who have allegedly not been paid, PACA is more than happy to hear from you, and more than happy to look at your complaint. A group complaint about an alleged pattern of wrongdoing by one of their members isn’t something that PACA has the bylaws to cause a member to be considered for expulsion. As far as what you’ll need to provide to PACA - They’ll want a copy of your contract, and any other information you have pertinent to your claim. 2. Provide information regarding your situation (outstanding debt, withdrawn images still being marketed, etc) SAA is likely more than happy to provide you with a copy of the evidence they have specific to you. 3. Email PACA (and cc’ing SAA couldn’t hurt) with the complaint will probably expedite things like the photographers who initially contacted them and listed in their grievance. You can contact Cathy Aron at PACA at execdirector@pacaoffice.org, and CC the current grievance chairperson Laura Dives at ethics@pacaoffice.org. Whatever you write to them, you might also want to CC to SAA’s Executive Director Betsy Reid, at: Betsy@stockartistsalliance.org, and SAA has more information about PL at this link. 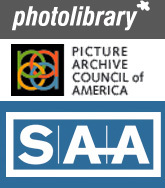 To date, Photolibrary remains a “member in good standing” at PACA. While I grew up on an island on the Pacific Rim (Alameda, California, in the SF Bay, to be exact) two of my distant island colleagues - Baron Sekiya, on Hawaii, and Tim Clayton on Austrailia (actually an island continent) have departed the field of staff photographer recently. Baron wrote about his experience - Life Beyond the Newspaper, while Tim wrote about his - Do I stay or do I go? Both talked about the struggles of making the break, and all that you have to do, which got me to thinking - what can I do to help those that are departing the comfort of the staff position to make the transition? I once was a staffer at a magazine, and abruptly lost my full-time status due to financial difficulties at the publication, only this was about 15 years ago. And, for me, so far, so good. Which brings me to my free offer. If you are someone who has left the comfort of a staff photography position from November 1st of this year, and through January 31st of 2009, I will send you a copy of my book for free. You have to have either been laid off or opted to take a buyout in some form or another. If you got fired for stealing, or manipulating photos or that sort of thing, you're out of luck. You'll need to send me a link to a recent photo of yours at the paper (or magazine) online, and I am only giving it to you. If you already bought a copy, well, then you get my thanks, this offer isn't transferrable. I have no idea how many people will take me up on this, but if it gets over a hundred, I'm going to have to include the condition that this offer could end without further notice. Where will I get the books? Amazon. I have already given away over 200 free copies since it came out, and so once I've confirmed you're a legit former staffer somewhere, you'll get an Amazon gift card via e-mail for the cost of the book. There'll be a lot of the honor-system going on here. One per customer, please. Once you get it, for a start turn to page 71, the section titled "Transitioning from a Salaried Staff Position to Freelance." Then, begin at the Introduction. If you are curious what I am talking about, hit this link and then enter in "71" in the search to see what I am referring to. Why am I doing this? Because it might make a difference to someone who just feels like they got kicked in the teeth after 15+ years of commitment to a paper, and it might make them feel a bit better. Heck, it might help some amazingly talented photographer continue to contribute to this profession that I love so much, and to continue to be able to make a difference with their images. I was struck by the article in the UK's Guardian recently, titled "Is a picture really worth £1,000? ", and sub-titled "A church and small businesses are just some of those accusing picture agencies of using heavy-handed tactics when pursuing payment", and I thought - "heavy handed?" The article then goes on to attempt to diminish the value of the photographs, in an attempt to make those insisting on payment look ridiculous. If I say "my photos are worth $1m", then that's what *I* value them at. For some form of validation, I have to convince someone to pay that. Once they have, then, regardless of what you think, they are worth that much - atleast to somebody. The criticism though, comes in, when it's suggested that a photo should have been valued at $50 - had the license and permission been recieved before-hand, and that the rights-holder - in this Getty Images - was now demanding 1,000 pounds. What is the purpose of this? It's short-hand for "we will sue you, but if you want to make a retro-active license for it, we'll do that for that much." What is the purpose for this? To deter future infringement. In the article, one of the parties involved in an infringement wrote about the churches that are involved "now regularly reminds all churches to ensure that all the images they use are fully licensed." The purpose in Copyright, generally speaking, when courts grant punitive damages (and this is where all those $150,000 per infringement pie-in-the-sky copyright infringement ideas come from) is as a punishment to deter future infringements. Is it ever that much? Not very often, but it's a big stick that forces infringers to pay attention to the lawsuits, and come to a settlement. Lofty figures, whether during an infringement suit, or as an offer of a retro-active license, are put forth to deter future people from doing it, and then just paying when they're caught red-handed. Should you do a retro-active license? If you do, be very careful. Your offer should be a part of an "offer in settlement" between you and the other side, because if you don't define it in that scope, your offer could diminish the future court case because figures that are a part of an "offer in settlement" are not disclosable in court proceedings. Further, if you do do this, make darn sure that you are excruciatingly specific about the use, and that, as a part of the retro-active license the other side certifies that they have not previously infringed your works, and are not currently infringing your works, and that this offer in settlement is specific to that one use, and that any other infringements will be handled separately. Often times, having an attorney handle these issues where your claim is in the $1k range, will be well worth the letter an attorney might charge you $250 for. All of this rides, however, on the fact that you are registering your images and have the teeth to back up the larger looming claim if they don't settle. As always, talk to an attorney about your specific situation, since I am not one. There is a lot going on in the news world these days, and one of the things that struck me as remarkable is that CNN has decided to enter the wire service game. They have economies of scale to depend upon, bureaus in many locations, data networks, storage facilities, and so forth. In a "newspaper summit" set to begin today, December 1st, and continuing for 2 1/2 days, it's an all expenses paid trip to Atlanta for those with an invite, and CNN will be pitching newspapers on its' cheaper service. Cheaper, that is, than the AP (who is losing member papers), Reuters (which CNN dumped last year, saving $3.5 million), and AFP and Bloomberg as well. They are staffing up their newsdesk (check this link for a few of the job listings) and hiring left and right. Staff jobs, yes. The AP, especially in the US, stands the most to lose. Both Reuters and Agence France Presse are euro-centric wire services, with some in-roads into the U.S., but not to the depth and breadth that the Associated Press has. United Press International is all but irrelevant these days relative to them, and the service Bloomberg offers is mostly a financial one. So, the AP stands mostly alone in their risk for an across the board US-competitor, especially with the brand recognition that CNN brings to the table. Moreover, CNN images - taken from stills and standard-definition cameras, have been gracing the pages of newspapers across the country already. As CNN migrates all of their cameras to HD, the images they can pull from video will increase in quality, and this doesn't even consider the still-image assignments that will be produced by new CNN staffers with still cameras, and reporters to boot. As papers migrate even more of their content to the web, the resolution will become even less and less of an issue as well. It's a welcome addition to the breaking-news arena, and the fact that they are "staffing up" is a good thing. Whether those staffers are both editors and photographers, or just editors, remains to be seen. Atleast on the outset, having staff photographers will be important to convince prospective subscribers that CNN is serious about original content. Like a restaurant that opens and offers free valet parking, it shows a commitment to the customer. Down the line, they can charge for the valet parking, or do away with it and let people fend for their own parking spot. For now, I would expect paid staffers to begin shooting for CNN in the not to distant future. Content Bridges - Nine Questions: How Will CNN Change the Wire Game? Often we wonder "what's next?" in our chosen profession, and the consensus seems to be "video", in one form or another. I just finished a 25 minute Ken-Burns-esque video for a client that I am delivering this week, which uses 400 stills from 5,000+ images from a recent assignment. In addition, we've integrated video capabilities into our service offerings to clients in DC, but the uptake on that segment of our business - at least right now - is minimal. When we ask Adobe "what's next?" for upcoming versions of software, they demur and don't answer, or they are coy about exactly what will be next in a roundabout way, with a wink and a nod. Here though, is a cool video that demonstrates what they're working on over at Adobe - an example of the increased openness we're seeing from the company. This, I believe, is a good thing.